The World Jewish Congress (WJC) has criticized last week’s decision by the city council of Trondheim, the third largest city of Norway, to back a boycott Israeli goods from West Bank settlements. Singer wrote: “In its resolution, the city [council of Trondheim] declares its opposition to Israeli policies that harm Palestinian sovereignty and livelihood. Ironically, the boycott will do just that. The WJC CEO added: “Everybody has a right to express views and voice criticism about international affairs of concern. However, in this instance, we notice once again that the Boycott, Divestment and Sanctions campaign targeting Israel uses double standards. No other country is being made the target of such a hypocritical campaign. 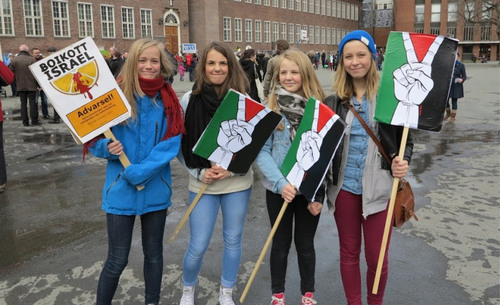 Trondheim wants to boycott Israeli goods, and Israeli goods alone, for political reasons. The resolution adopted alleges that “Illegal settlements are expanding, the construction of the wall continues, Palestinians are subjected to daily harassment and face major obstacles in their daily lives. This is a policy that Trondheim Municipality cannot support. The municipality will therefore refrain from purchasing goods and services produced in the occupied territories." The city council is also asking residents of Norway's third largest city to personally boycott settlement goods and services.